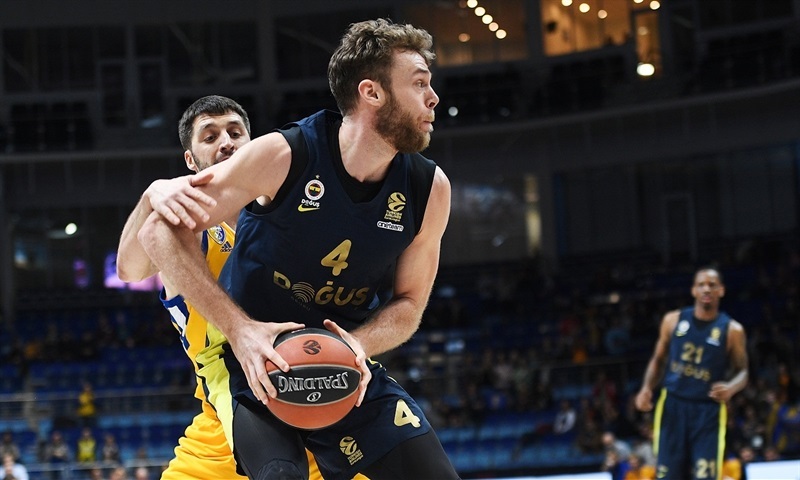 Fenerbahce Dogus Istanbul controlled the final third of the game to defeat Khimki Moscow Region 64-73 on Thursday at Arena Mytishchi. With the score tied 52-52 late in the third quarter, the champs went on a 5-17 tear to take control for good. 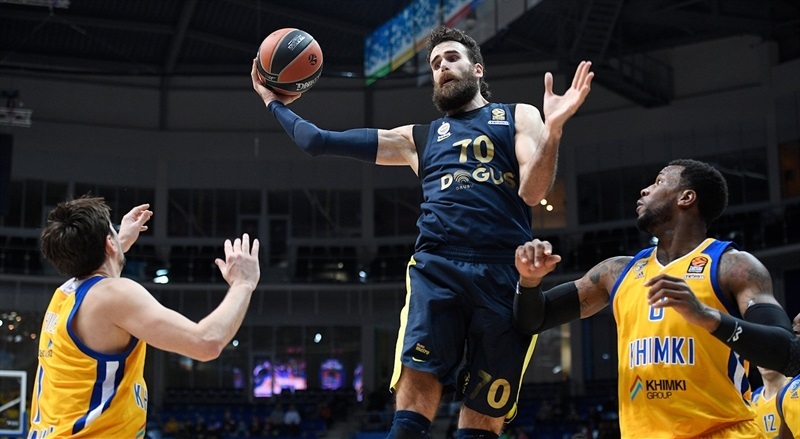 Second-placed Fenerbahce improved to 21-8, while Khimki fell to 16-13. The game could prove to be a preview of a playoff series, with the teams currently lined up to face one another with the current standings. 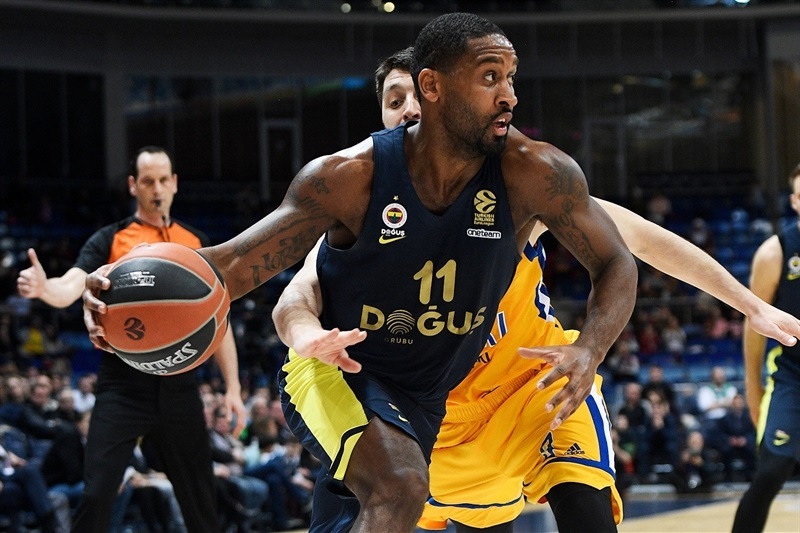 Brad Wanamaker led the Fenerbahce attack with 14 points, Nicolo Melli posted 12 points and 10 for his first double-double since Round 2, James Nunnally also scored 12 and Kostas Sloukas added 11. 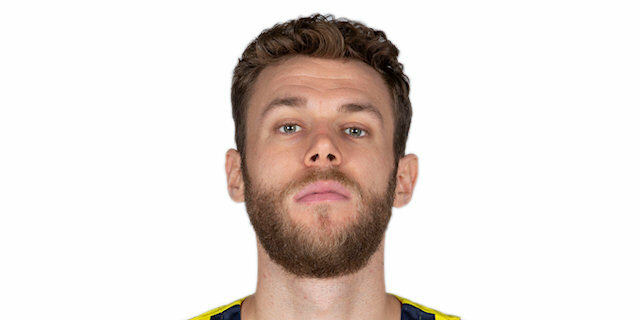 Fenerbahce, which was without leading scorer Jan Vesely, outrebounded Khimki 28-38. 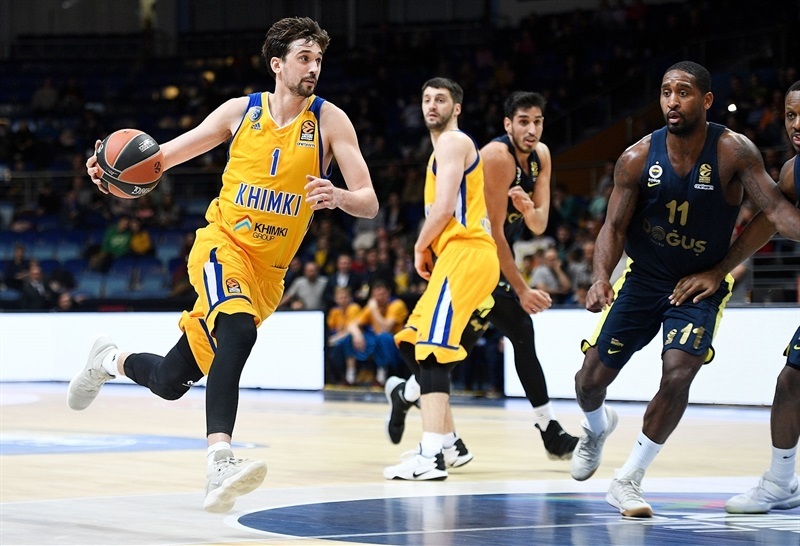 Alexey Shved scored 19 points and delivered 8 assists to lead Khimki; his first basket of the game gave him the EuroLeague record for points scored in a single season, which stood at 628 by game's end. Anthony Gill posted 12 ponts and 8 rebounds and Malcolm Thomas had 10 and 7 in defeat. 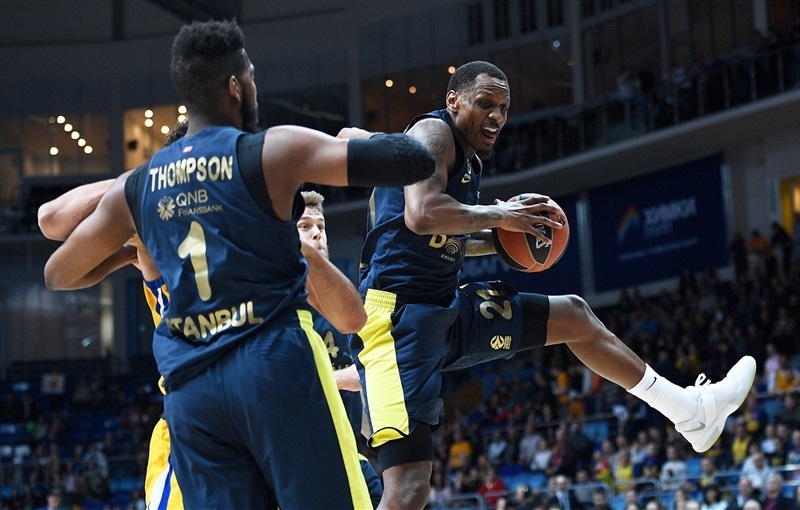 Fenerbahce started strong with a Wanamaker triple igniting a 0-7 run as the visitors kept Khimki scoreless for three and a half minutes. 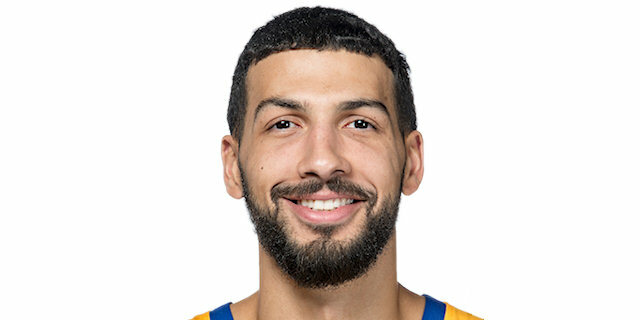 Shved snapped the drought with his record-breaking triple and then added a layup and an assist on an Gill three for Khimki's first lead, 8-7. Nunnally connected from downtown to edge the visitors ahead, but Gill added a second triple and Shved fed Thomas for an alley-oop slam and buried another triple to make it 16-11. Nunnally's put-back tied it and Sloukas beat the first-quarter buzzer with a deep three to make it 18-20 after 10 minutes. Nunnaly fed Jason Thompson for a slam to start the second quarter, but soon Shved hit another long three to give Khimki a 23-22 edge. Thompson tied it twice from the line before Melli free throws pushed Fenerbahce in front, 25-27, midway through the quarter. Jenkins heated up and gave the hosts a 33-30 lead with a three-pointer. 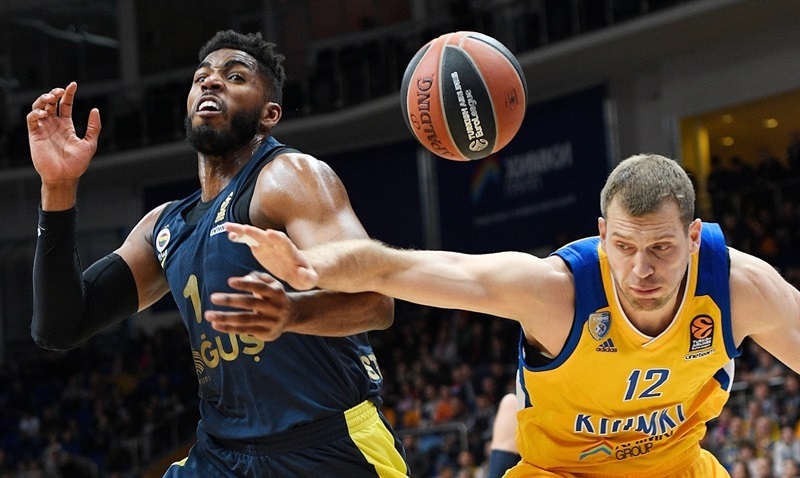 Fenerbahce regained the lead on a Gigi Datome layup, but Jenkins's put-back left Khimki leading 38-37 at the break. The lead changed hands with each of the first four baskets of the second half. Ali Muhammed's first points of the game gave Fenerbahce a 43-45 edge midway through the third quarter. The lead continued to go back and forth as Gill turned an offensive rebound into a three-point play and Muhammed knocked down a triple. 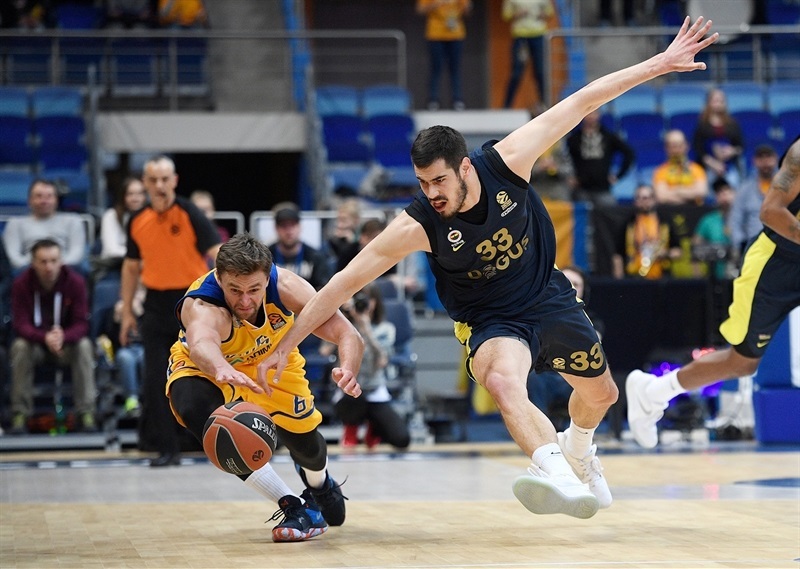 Vyacheslav Zaytsev tied it at 52-52 with a triple with two minutes left in the quarter, but Sloukas, Nunnally and Melli combined on 7 free throws over the next two minutes – and Thomas Robinson and Shved combined to miss 3 – as Fenerbahce took a 53-59 advantage into the deciding quarter. Sloukas started the fourth with a three-pointer and Thompson threw down a put-back slam for the first double-digit lead of the game, 53-64. A three by Muhammed stretched the lead to 12, but a reverse slam by Zaytsev kept Khimki in the hunt. 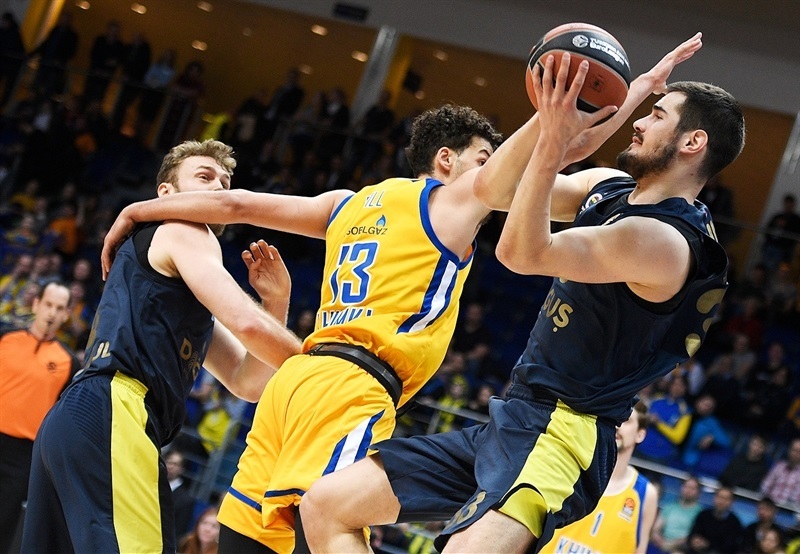 However the Fenerbahce defense went into lockdown mode keeping Khimki scoreless for more than four minutes. 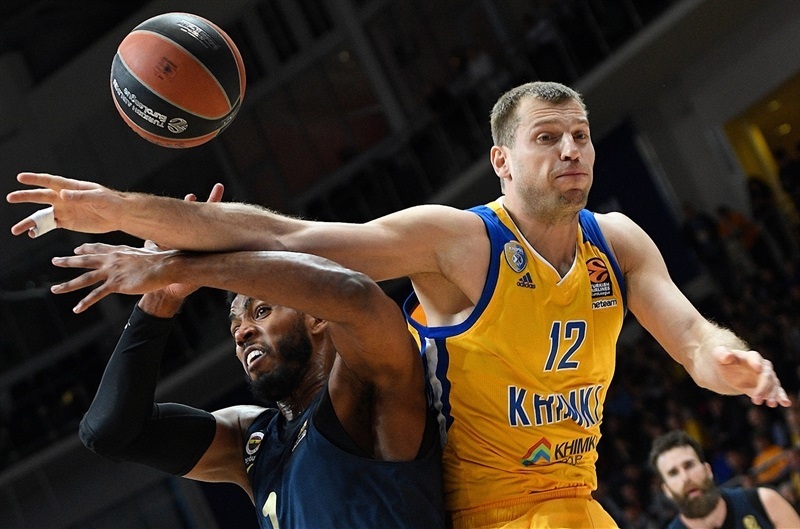 Thomas scored twice to give Khimki hope and Shved buried a triple to make it 64-71 with 90 seconds remaining. 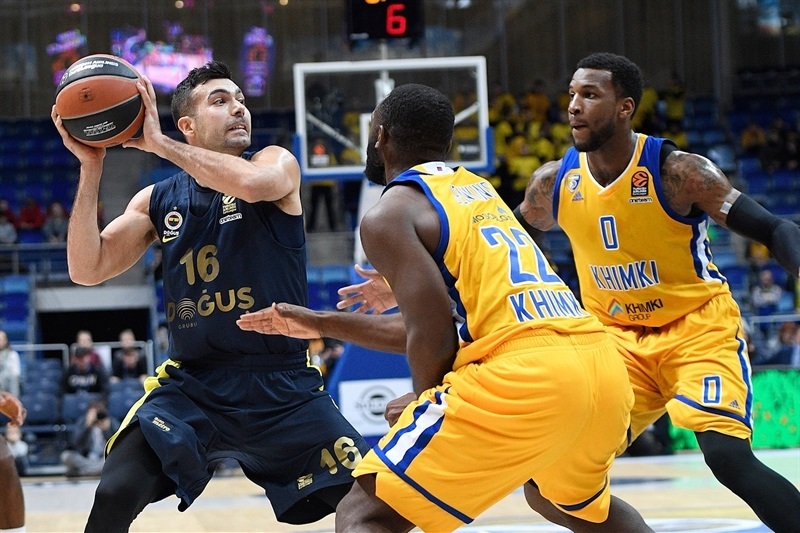 However the Fenerbahce defense stopped Khimki there and held on for the victory. "For us it is a difficult period right now with a lot of absences of feature players and we just need some health to prepare the games. It is difficult to play against the European champions without five players. We did what we could in this game, but it wasn’t enough. We made some mistakes. When you lose your concentration and you make some silly mistakes, and when they took a 10-point lead, it was difficult for us to come back in the game. 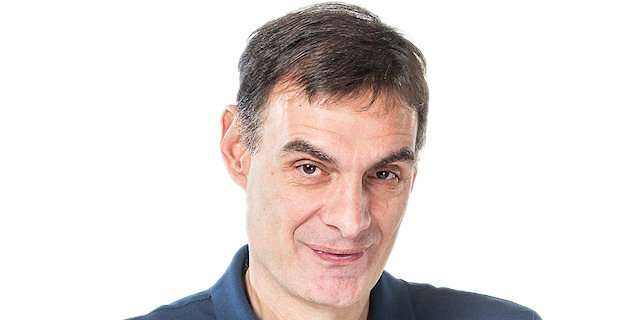 There was a huge difference in the free throws; they scored 15 more, so in a game that was more or less tight, more or less the same statistics, it was one important part of the game." "Without any question we played better defense in the second half. We really need to change our offensive game. I believe we played very slow, made some very bad decision. We must consider this and use the next period to work on that." "For us this game was important because we wanted to continue to play well and get good results in the EuroLeague. We understand how they read the game, it was very similar to the game we played in Istanbul. Both teams tried to play very hard defense, with this part of our game I am very satisfied; I believe we played very good defense tonight. But our offense was not so good. We played very slow, we didn’t recognize some situations to punish the Khimki defense. Congratulations to my players on one more important victory and also congrats to Khimki because I believe with this problem that they have with injured problem, it’s not easy for them to play. Five injured players is a really big number and really difficult for a coach. So I wish for the coach and everybody to be healthy at playoff time." “We had situation in the game when we let the opponents score too many free throws; they got their rhythm. After that we just didn’t respond. We played with the defending champions and had to be better. So, it’s just an opportunity for us to learn from. This is one of the teams we can face in the playoffs, so we just have to take every game at a time. Fenerbahce is a great team; and we just have to be more focused the whole game. We can’t have lapses where they can go out by a lot of points. We have to be better on defense." 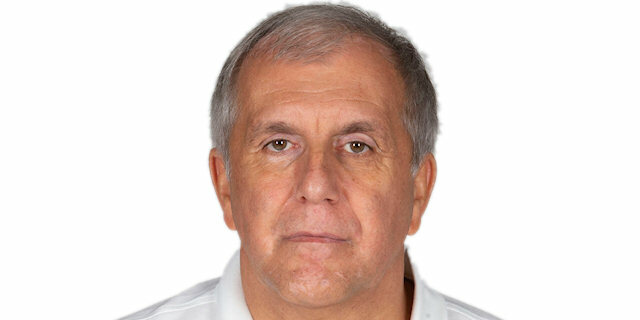 "I believe the turning point was that we contained Shved better in the second half. We didn’t do a good job in the first one, so I think we did a good job in the second one. We kept our intensity and we attacked very well against their switching defense. We were not focused in the first half, mostly in the first quarter. They started immediately to score 9, 11, 12 points. And if you want to win against Khimki, you know you have to take away Shved. So I think we did a good job in the second half and that was a key in the game."